Tokyo Grand Tea Ceremony is hold to introduce Japanese culture of tea ceremony to people from foreign countries. There will be indoor/outdoor tea ceremony, special event in English, and school kids performance. Please enjoy an elegant time in Tokyo. 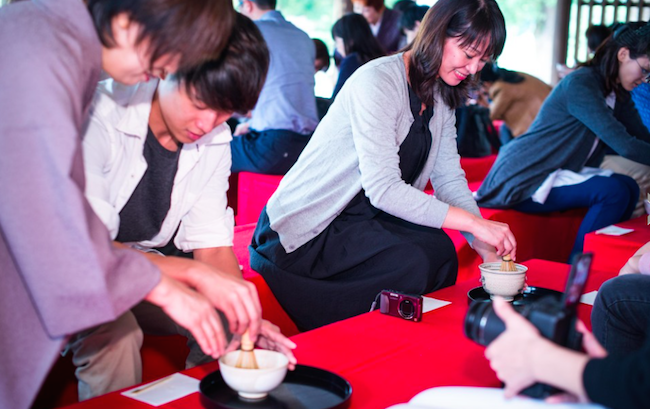 Tokyo grand tea ceremony is coming up this year too! 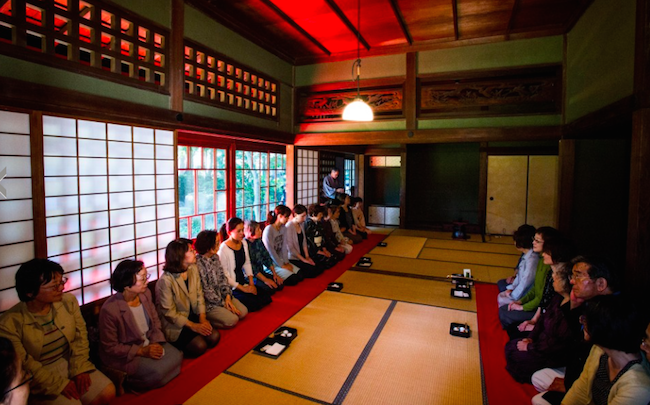 This tea ceremony is hold in order to introduce traditional Japanese culture, tea ceremony and history of Tokyo. 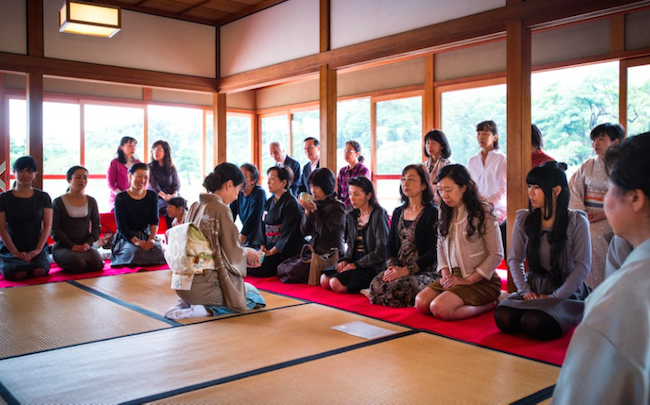 Visitors are from all over the world, and new to Japanese green tea ceremony. I think this "Tokyo Grand Tea Ceremony" will guarantee you more quality of time and memory in Japan. Not only that, it's also an opportunity to learn Japanese spirit by communicating with tea ceremony masters,local Japanese people, and local school kids are invited too. Enjoy the sophisticated time with quiet mind and good green tea. The Tokyo Grand Tea Ceremony will be held at two places. Entrance Fee: Adults and students 7th grade and older: 300yen. Seniors(65 and over): 150yen. Fee for children up to elementary school students, and for junior high school students residing in or attending school in Tokyo. More details are on their website below. What's on the Tea Ceremony? There are many events going on at the Grand Tea ceremony. Indoor Tea Ceremony, and outdoor tea ceremony are the highlights, which you have to reserve in advance from their website. There are also "Tea Ceremony for beginners" and "Tea Ceremony Workshop for Children", so that you can bring your little company to this event. 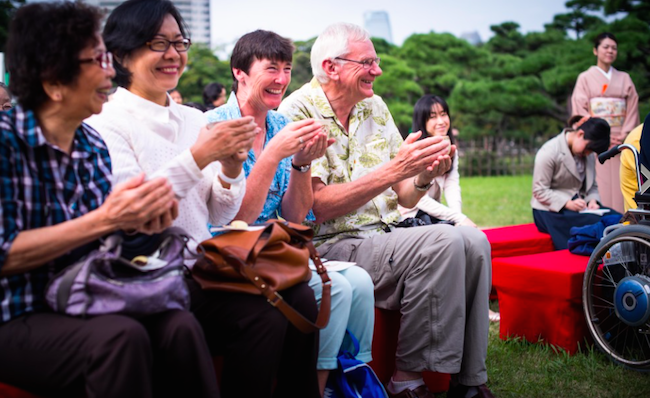 This outdoor tea ceremony enables foreigners to enjoy tea while listening to explanations in English. Nodate ,Outdoor Tea Ceremony by high school students You can enjoy this outdoor tea ceremony conducted by high school students perpetuating the culture of tea. The program includes traditional Japanese performances such as a Shamisen concert and traditional Japanese magic show. There will also be a calligraphy performance and kimono fashion show. Tokyo is a city of mixture of modern and tradition. Please enjoy cultural part of Tokyo at the Grand Tea Ceremony. 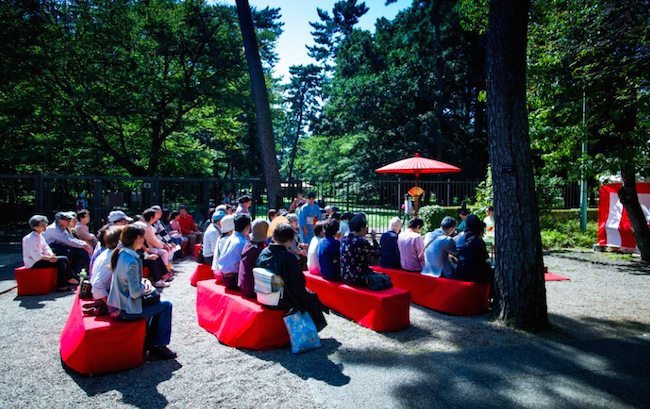 Basic information below is on October 3rd and 4th 2015, Edo-Tokyo Open Air Architectural Museum. Get off at Koganei-koen Nishi-guchi and walk for 5 minutes.